St Peter’s, Bristol’s only adult hospice, has received one of its largest ever corporate donations after the Bristol office of transatlantic law firm Womble Bond Dickinson (WBD) reached its two-year ambition of raising £80,000. The firm has been supporting the hospice – which cares for 2,000 patients every year – since 2017 in memory of partner Robert Pope, who passed away the previous year and was cared for by the charity at the end of his life. The money raised by WBD will go towards the hospice’s Room to Care Appeal, which was set up to raise the remaining £1.5m needed to re-build its inpatient unit. It has now reopened with new single, ensuite rooms – one of them funded by WBD’s £80,000. 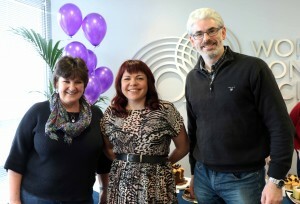 The firm raised funds through a range of charitable and fundraising activities, including a charity quiz – which raised more than £6,000 – sporting events, including taking part in The Tour de Bristol for three consecutive years, an Easter Fayre, a monthly office prize draw, a Grand National fantasy horse race, dress-down days and payroll giving. Members of staff also volunteered in the hospice’s shops across Bristol. 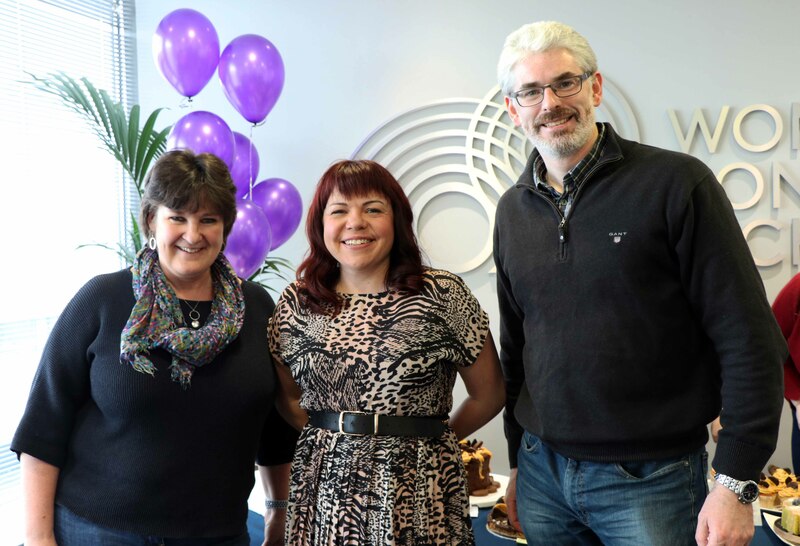 Most recently the firm organised its annual cake competition with Great British Bake Off contestant Briony Williams coming to its Temple Quay office to judge some of the team’s creations. WBD’s firm-wide charitable trust also donated £10,000 towards the total. Partner and WBD Bristol office head of responsible business Jonathan Bower said: “It takes thousands of pounds a day to run St Peter’s Hospice, a huge amount of money that is vital so the charity can continue to deliver essential care to patients and their families. “We are therefore thrilled to have achieved our aspirational target of £80,000 to support the Room to Care Appeal, which provides patients with new individual rooms, offering privacy and the best environment for visiting families and loved ones at such a sensitive and precious time. The cheque for £80,000 was presented by WBD to St Peter’s on Monday, April 8, which marked the third anniversary of Robert Pope’s death. Jonathan Bower described it as a personal ‘thank you’ for the care Robert and his family received and for the all-important work the hospice delivers to adults across Bristol needing palliative care as well as the support to their families and loved ones. “Reaching our target has only been made possible by the tireless determination and commitment of our colleagues, clients and friends and so I’d like to say a big thank you to everyone who has supported us,” Jonathan added. St Peter’s Hospice CEO Simon Caraffi said: “It is poignant but entirely appropriate to celebrate this fantastic achievement on the anniversary of Robert Pope’s death. “WBD has been one of our most dedicated, determined and committed corporate partners. Indeed, I think this has been the best example of such a partnership in recent years. Not only have WBD raised a huge sum of money to support the Room to Care appeal but throughout they have also shown a deep and genuine interest in the work of St Peter’s Hospice. WBD provides legal expertise in key sectors, including retail and consumer, from across eight offices in the UK and 18 in the US. Its Bristol base is the second largest of its UK office network employing more than 250 staff.